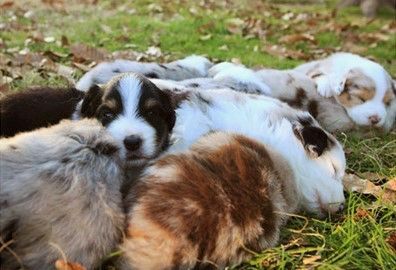 Thank you for your interest in our Australian Shepherd and Border Aussie puppies. We are located in Batesville, Arkansas. If you would like to reserve a certain puppy, please contact us about putting down a deposit. When they are ready to go to their forever homes they will have their tails docked, first shots, wormed, and dewclaws removed. Information about the puppies, the parents, and the breeds are on our pages below. So clink a photo below to get started! Stay up to date with our beautiful puppies. Weekly updates with photos will be posted on the links below. To see this weeks photos click on a link below! 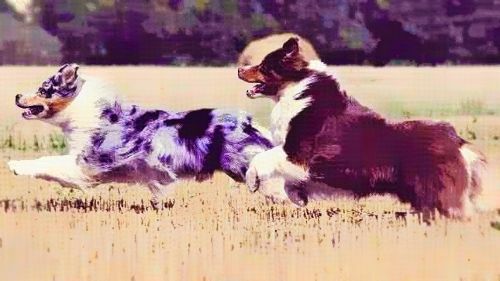 Hard-Working, Gentle, Competitive, Obedient, Loyal, Active, Smart, & Agile companions! For details on parents click the picture above.